Everyone, from large enterprises to private individuals, is exposed to malware on the Internet. Most security measures come down to detect and respond, as opposed to preventing the incidents in the first place. Read on to examine current attack detection strategies that are rapidly gaining popularity, as well as the pitfalls of pure post-execution strategies. 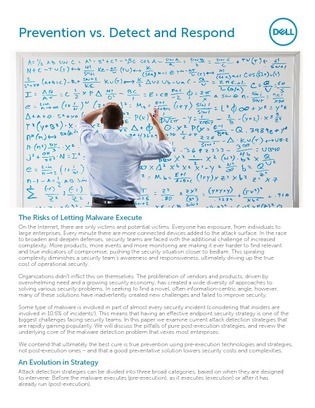 You will also get to the core of the malware detection problem and learn why prevention is the best security approach.